Exquisite! 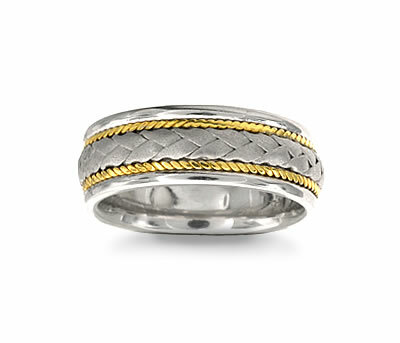 This hand-braided design marries both 14k white and yellow gold into a unique men`s wedding band. 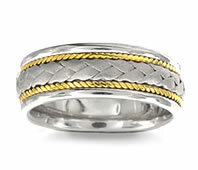 The braided center section is accented by an inset of a 14k yellow gold rope. The outer edge is highly polished 14k white gold which finishes this stunning ring! This band also has a rounded inner edge for a perfect comfort fit.